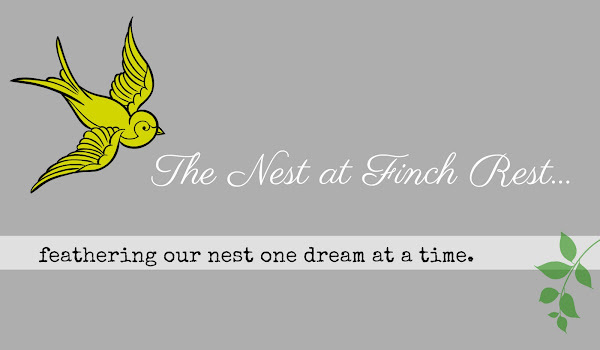 The Nest at Finch Rest: CUTEST TEA BIRTHDAY CARD! but today I am keeping it simple. Isn't this little guy the cutest thing EVER? Isn't the artist* absolutely amazing? That lil mousie looks REAL! to afternoon tea for an early birthday lunch on her day off. I will be sharing all that with you soon as well. The card was purchased from her Etsy shop. I am so blessed in so many ways. This is a truly happy birthday! Wishing you a very Happy Birthday Michele.. I love your card.. your daughter knows exactly what you like..
Have a Happy Birth"day" Michele. Hope it will be as special as you are! Happy Birthday Michele! What a darling card from your daughter! It is perfect. Hope you have a birthday as special as you are, my friend. Happy Birthday, Michele! What a cute card! Happy Birthday Michelle! What a darling card! She picked the perfect on for you! 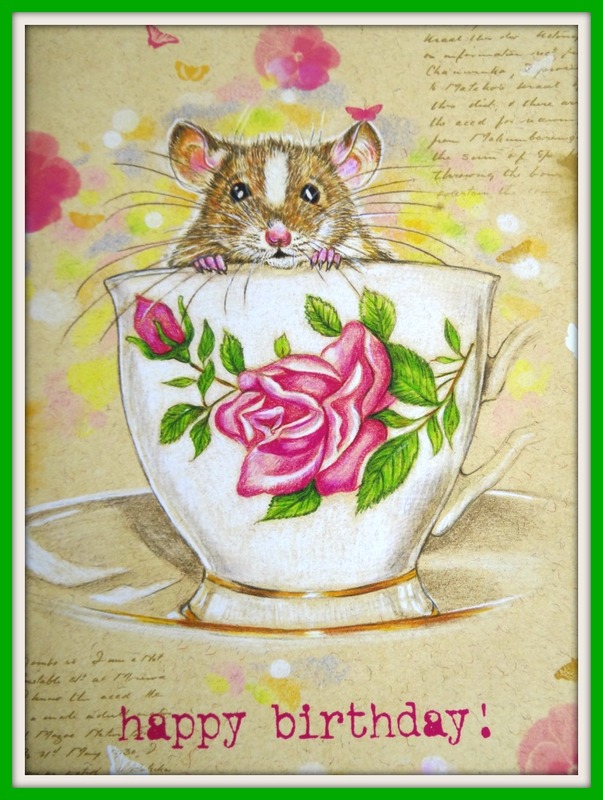 Yes, the mouse is adorable and I also love the tea cup with the rose! I am so glad you feel blessed! I am your newest follower, will go on to explore your blog a bit more, now! Happy birthday Michele!! May all your blessings continue!! 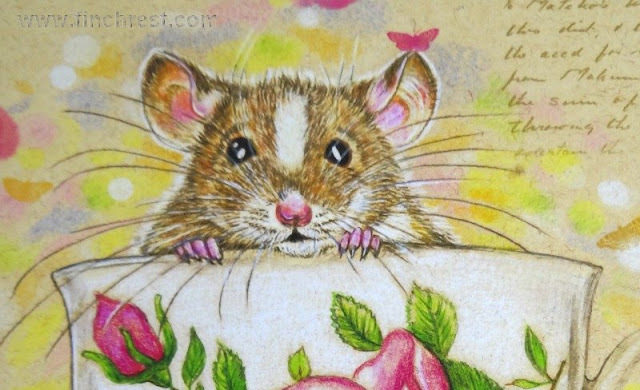 The mouse is adorable and I love the little butterfly that has landed on his ear. Happy Birthday Michele! Wishing you nothing but happiness! Happy Birthday! 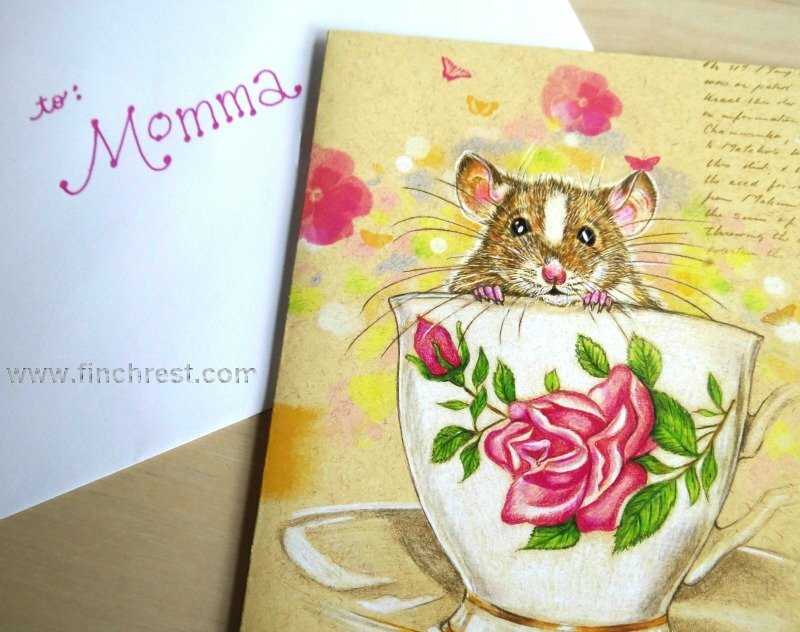 That is one cute card and I am sure you had a lovely tea too. I hope you are having a wonderful birthday, Michele! Oh my gosh Michele HAPPY BIRTHDAY!!! I didn't realize our birthdays were so close. Mine was 10 days ago but I honestly quit counting. My mind says I'm 25 (at least thats the way I think) but my bod says 'Oh no you're not!' I know you're a heck of alot younger than I am so you can still keep counting. :) I LOVE the mouse and the card. What a terrific daughter you have. I look forward to meeting her someday. It seems to me your whole family is incredible!!! Hope you have had a WONDERFUL wonderful birthday. I'm singing to you so hope you can hear it. Happy Birthday, Michele! That's a darling card and I'm looking forward to reading about your birthday tea lunch. Have a wonderful day. Isn't that the cutest card from your dear daughter?? I hope you had a wonderful day, Michele! I know you had a great tea party. Daughters are the best and they know their mamas! Happy Birthday to you. What a sweet sweet card. Happy, happy belated birthday! 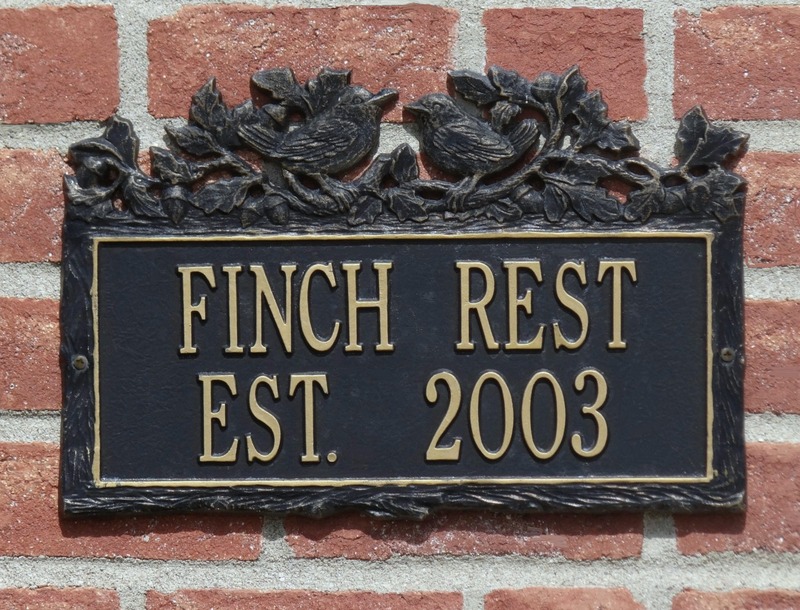 We were on vacation the last few days and I'm just now catching up on all blog posts and such. So anyway, I hope your birthday was great! I hope you had a fabulous birthday celebration. I wish you days of joy and love. I've missed visiting. My job keeps me too busy and too fun deprived. Thank you for all the times you join us on Pink Saturdays. I hope you will be sharing with us during our theme Pink Saturdays.